Jakarta, November 19 2015 – Dedicated to responding to current market trends, Archipelago International, Indonesia's fastest growing hotel management company, has recently partnered with Salam Standard - an innovative, new hospitality standard accommodating to the rise of global Muslim travelers. Salam Standard gives information about the facilities and "Muslim - friendly" services which are available at hotels and resorts around the world, to serve the specific accommodation needs for Muslim tourists, who spend more than US $142 billion on the tourism sector in 2014 and are expected to represent 25% of global travel spending in 2020, according to research from Thomson Reuters. 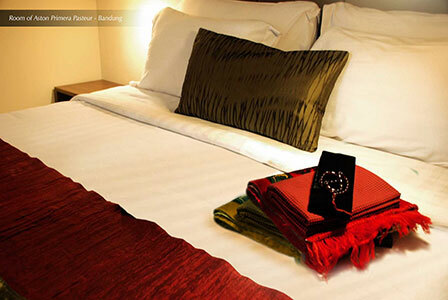 Salam Standard is an innovative standard of services and amenities specifically designed to make Muslim travelers feel at home around the world. The standard is divided into 3 main categories; gold, silver and bronze, which applies to specific standards of each hotel. More than 60 hotels under Archipelago International are registered to Salam Standard. 31 are classed as Bronze Standard, meaning they provide in-room Kiblat signs, Muslim prayer carpets and a Quran on request, whilst 21 hotels meet the Silver Standard requirements further offering information on Halal restaurants in the vicinity and no-alcohol protocols in the hotel room mini-bars. At the highest level, 16 of Archipelago International's hotels meet Gold Standards, including Quest Hotel Surabaya, Aston Anyer Beach Hotel and The Alana Solo, thus offering the most accommodating options for traveling Muslims from both Bronze and Silver Standard also include serving Halal food within each hotel, certified by a recognized Halal certification body. Launched last October, Salam Standard is based on the feedback of 50,000 Muslim travelers from around the world following an extensive global campaign asking those surveyed what services and amenities were most important to them when traveling. Salam Standard therefore not only helps Archipelago International cater to the needs of this burgeoning sector, but also provides Muslim travelers with a one-of-a-kind reference tool, enabling them to choose Muslim-friendly accommodation that adheres to their Islamic principles. “Indonesia has the highest Muslim population in the world, making them also our largest segment of customer to our hotels in Indonesia. Understanding and anticipating our guest needs is of utmost importance to providing excellent service. We understand it can be cumbersome for travelers to hunt and filter through information to find the best hotel for them and their family and their religious needs. We hope this new standard will help to make the search easier. Previously there was either an all or nothing answer around which hotels cater to the Muslim traveler needs, and now there are varying levels, just as each person has varying levels of requirements for religious comfort.” Said Tenaiya Brookfield, Archipelago International VP of Sales & Marketing.